To the Northwest of the city of Cork is Blarney Castle. This is a 15th century castle. It is a fine stronghold built in 1446 by Cormac MacCarthy, King of Munster. There is also the famous Blarney Stone. To kiss the stone, you need to have a serious head for heights. The stone is set in the battlements 83 feet up. It takes 2 strong helpers to hold you outwards. But there is always a long line of people waiting!!!!! 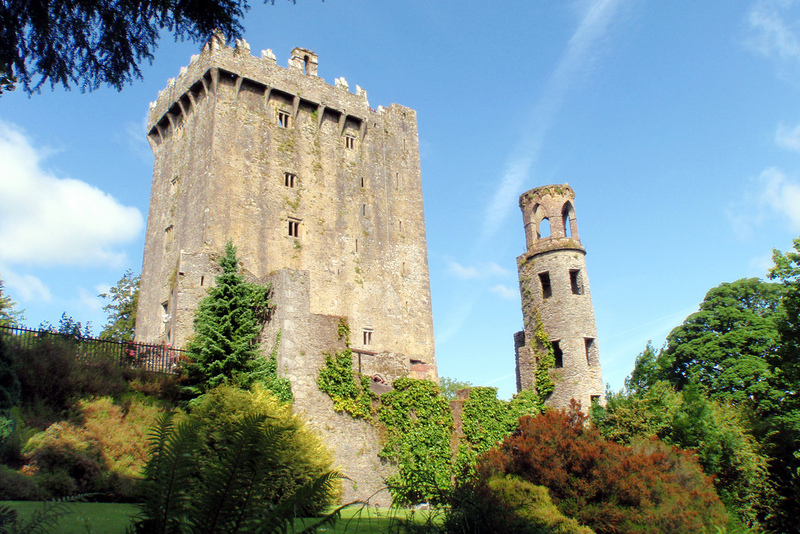 At Ireland and Scotland Luxury Tours we prefer to get off the busy tourist trail and visit “Blarney House”. This is close to the castle but not as popular with the coach companies. It was built in 1874 in Scottish Baronial style. It is very lush and heavily Victorian, with fine satinwood furnishings and Waterford chandeliers.